Photos from the May 29th VoaR in Santa Rosa - our most successful workshop project yet! We think this collage of photos from the May 22, 2011 VoaR at UC Davis pretty well represents the spirit of the event and the enthusiasm of the people who joined us for the long day. Soon to come: some Videos recapping the whole project, a little of each event... for now - how about starting with some Jobim from Santa Rosa? 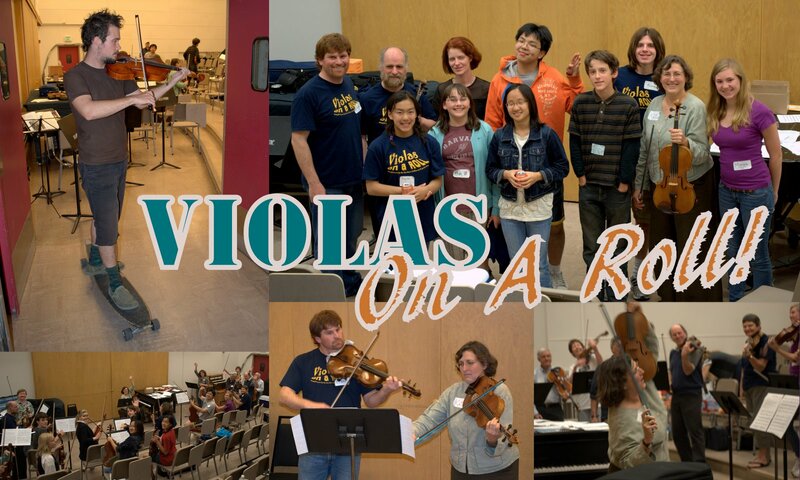 To find out more about bringing Violas on a Roll to your school or community, email us at norcalviola@blogspot.com today! Violas on a Roll - Two down, One to go! Violas on a Roll 2011 - One down, Two to go!